One of the remaining outstanding issues in the Apple vs Samsung case came to a conclusion last night as Judge Lucy Koh issued another set of rulings. Yesterdays rulings surrounded the seven design and utility patents the jury found Samsung had infringed on resulting in a $1.049 billion dollar win for Apple last year. With their verdict, the jury determined that Samsung had infringed on five patents, a decision that could have result in a significant increase in the damages Samsung would have ultimately paid Apple. Samsung had requested the Judge to consider whether this ruling should be challenged and the Judge agreed. Koh wrote in her ruling that Apple had needed to prove there was an “objectively high likelihood that its [Samsung] actions constituted infringement of a valid patent.” Samsung argued that it believed Apple’s patents were no longer valid, so even if Samsung had infringed, they would not have done so willfully. Koh determined that Samsung’s arguments were persuading enough to rule out any finding of willful infringement. Said another way, Judge Koh believed that Samsung had acted as though it believed it wasn’t doing anything improper. The result is that Apple won’t receive any increase in additional damages resulting from willful infringement, but it doesn’t mean the $1.049 billion verdict doesn’t stand. It does, it just won’t increase because of willful infringement. Koh could still cut the amount of damages Samsung ultimately pays Apple, though she hasn’t offered any indication she will do exactly that. Along with the willful infringement decision, Judge Koh also ruled against Samsung’s claim that Apple’s multitouch software patents and four more of its design patents were “indefinite.” Koh also declined to overrule the jury in Apple’s favor to set a new trial on issues Apple lost in a case decided last summer. 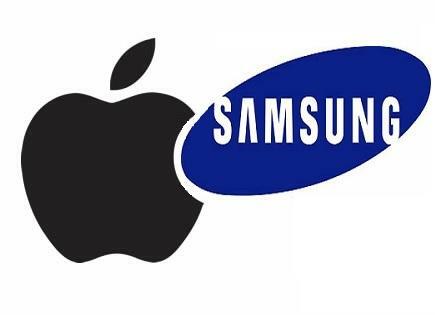 Oh how the fun continues in the Apple, Samsung drama. So Samsung got a win but still have to pay $1.049B to apple? A win ? Is this ever gonna end ? Could have been worst. They could have had to pay another 3 billion… That would have help apple stay in the game a few year longer. Now they have 18 years left instead of 24. I wonder how many thumbs down imma get for this one??? You sure will get a thumbs up from me. Guess the new innovation is in the courtroom. But then I have to blame the patent guys for awarding stupidity instead of creativity. It doesn’t look like it. Florian Mueller said on Foss Patents that it’s more important now, than ever, for Apple to protect itself legally. It’s a win in the sense that the damages didn’t triple, I’d call that a win. I like both companies. I’m not in the courtroom nor am I on the executive boards so I can care less what goes on between them. Just keep the iPads, Macs and Galaxy phones comin. I rock with both! Koh granted Samsung a win? There is some sense in her!